People’s April Revolution Day is a public holiday in the Kyrgyz Republic celebrated on April 7. It commemorates the anniversary of the Kyrgyz Revolution of 2010. 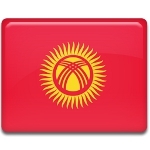 The first revolution in post-Soviet Kyrgyzstan occurred on March 24, 2005. It is generally referred to as the Tulip Revolution. The revolution resulted in the overthrow of President Askar Akayev who had ruled the country for 15 years. One of the opposition leaders, Kurmanbek Bakiyev, became the new president. The anniversary of the Tulip Revolution was declared a public holiday named the Day of the People’s Revolution. Unfortunately, Bakiyev did little to achieve political stability. Relations between the new president and Prime Minister Felix Kulov quickly deteriorated. Bakiyev even went as far as to amend the constitution to transform the country into a presidential republic, forcing Kulov to resign. The country’s economic situation left much to be desired. In 2010, utility rates rose so much much that long-term frustration that had been building in the country transformed into popular protests. On April 7, 2010, protesters led by opposition leaders stormed the parliament building in the Kyrgyz capital of Bishkek and took over the headquarters of several major broadcasters. The government of Kyrgyzstan resignedб and President Bakyiev fled to his residence in Osh and then left the country. Roza Otunbayeva was chosen as head of the Interim Government. The revolution was followed by a series of ethnic clashes and riots which ended in mid-June. The new constitution was adopted on June 27, 2010. Otunbayeva served as the interim president until the presidential election in 2011. The election was won by Almazbek Atambayev. The anniversary of the Kyrgyz Revolution of 2010 was declared a public holiday in 2011. The People's April Revolution Day became a non-working holiday in 2016.